It protects carpets, drapes and furniture from fading. It reduces glare that can be annoying. 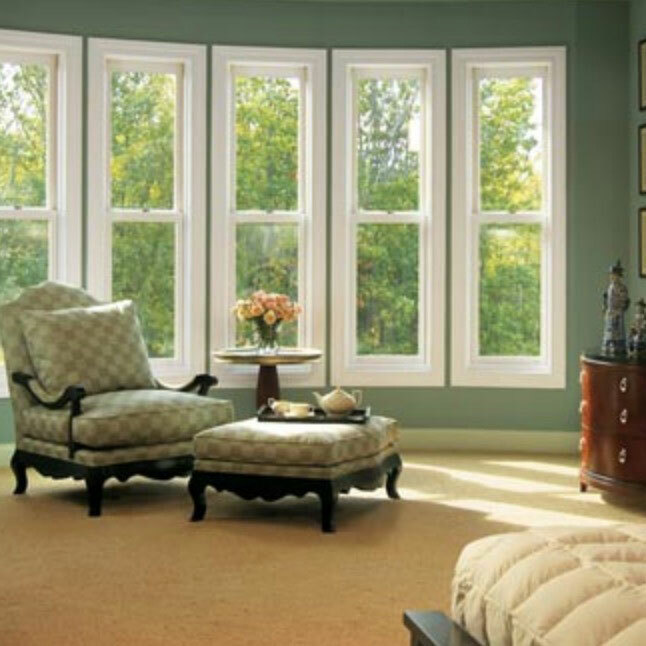 One of the primary benefits to tinting your residential windows it to lower your energy bills. How is this made possible? The home window tint film minimizes heat loss in the winter and heat gain in the summer, which saves you money on fuel and electricity! It also lowers the loss of air conditioning in hotter months. This makes your windows more energy efficient and your rooms more comfortable to be in, all without changing your windows. We all long to have light fill our rooms and don’t want to compromise the view by always needing to have our curtains closed just to prevent the sun from damaging our furniture. UV window film can greatly reduce the fading caused by the sun on your fabrics, carpet, artwork and wood. So, if fading has been an issue for you, stop running around opening and closing window treatments and get your windows professionally tinted. Then you can enjoy the light without the fear of furniture damage. Who thinks to wear sun block inside their home? It’s hard enough to remember to put it on when you are going out! Most people don’t think about it when they are inside their own home. However, there is a simple way to protect your family from the the sun’s damaging ultra violet rays when you are indoors. Have your windows covered with a window film by professional window tinters. Window films can reduce the sun’s UV rays by over 90%, some even by 99%. Why add to your chances of getting skin related health problems when something so basic can be done? An added reason to consider adding window tinting for your home is its security and safety feature. When a window that does not have a protective film is broken, glass fragments are sprayed throughout the room with risk of personal injury. Also, the resulting hole allows rain to enter the home and cause damage. On the other hand, windows with a security film stay attached to the film even when it is broken. This keeps the window sealed from the elements. The film also makes the window more resistant to breakage from day to day bangs and bumps. Hurricane window film, or security window film, is a thicker gauge of film that offers greater protection to the home against violent storms, natural disasters and vandalism. Direct sunlight is valuable in a home. It makes you feel great and reduces the need to use lights. Too much light can some times create a glare and make it difficult to work or relax with out closing the blinds. Window tint gets rid of significant glare, allowing you to make the most of the sunlight. Privacy window film can be added to windows to make areas private without sacrificing light. This film can be used in the bathroom, office, on kitchen cabinet doors, on glass door panels, or for windows that face the street. You can get tinting that gives you a clear view of outside, but prevents people from being able to see in.. Window tinting can also add a decorative element to your home. The tinting can quite accurately imitate the look of expensive windows, but at a much lower cost. It can also easily be removed if you move or would like to change the look of the windows. Decorative window films even come with a mural and can be applied to a picture window for an instant view. Window tinting is also great for solarium and rooms with indoor pools because the film solves the problems of excessive glare, heat gain, and sun damage in these rooms where there are often so many windows. The film is also ideal for pool rooms and spas because it is moisture resistant and easy to clean and maintain. Just as a poorly done auto tinting job may start to peel or be full of tiny bubbles – a poorly done residential tinting job will look bad and cheapen the look of your windows. Have your windows tinted by professional contractors! To find out what the home window tinting cost for your windows might be let us help you get free quotes from local window tinting contractors. Whether you want to tint all your windows, or do just select door and window tinting, you’ve come to the right place! Remember, window tinting is significantly cheaper than replacing your windows or buying expensive window treatments and – as you’ve seen from reading about the benefits – well worth the investment! Interior Guards is a member of IWFA. Please contact us today to transform your problem into a solution. Interested in working with us? Get your Free Estimate today! ©2018 Interior Guards LLC. Designed by Insight Digital Design Agency.